Bone is like an Aero chocolate bar. 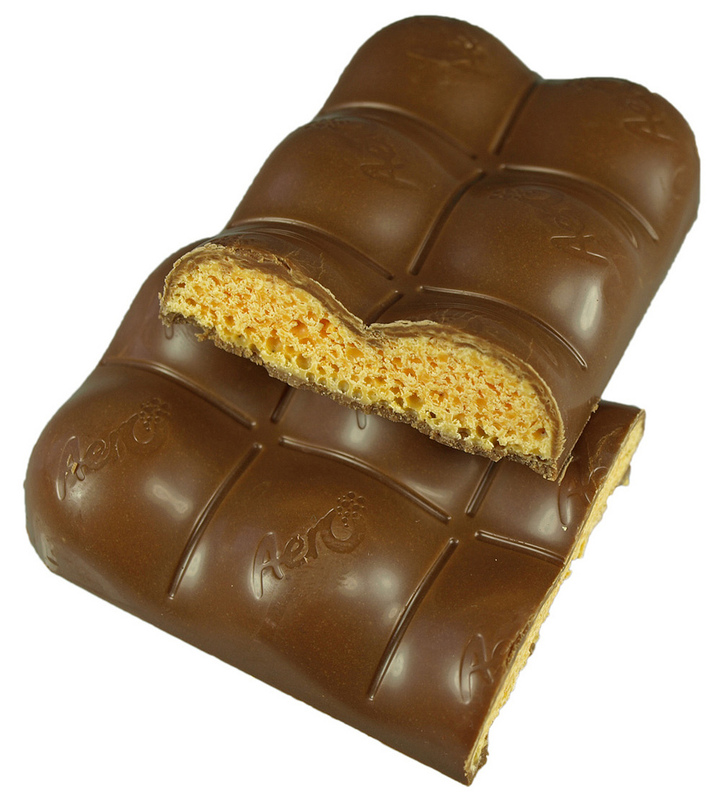 It is not a perfect simile, of course, if only because my American friends rarely encounter an Aero bar. Nevertheless, comparing images of the two reveals important structural similarities: a dense outer shell, and a porous inner core. Bone is an example of an optimized structure. 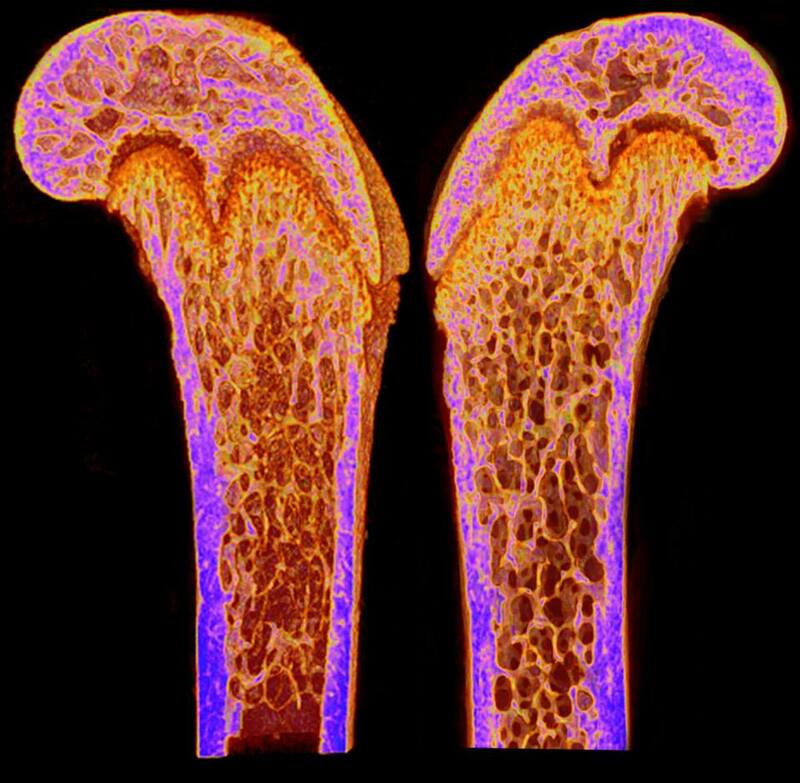 Building and maintaining bone tissue has a metabolic cost, and heavier bones also require more energy to move around, so there are incentives to keep bones as light as possible. On the other hand, there is a practical lower limit to how light they can be. Our bones would be useless if they could not support our body weight or survive routine activities. A balance is needed. Optimization is about finding that sweet spot —the Goldilocks Point— where you achieve the best balance of opposing properties. Not too heavy, not too light. Not too weak, not too strong. Just right. Bone achieves an optimal balance between weight and strength through its structure. A completely solid bone would be too strong and heavy, but a completely hollow bone wouldn’t be strong enough. Instead, most long bones (e.g. the femur) have a solid outer shell (called cortical or compact bone) and a porous interior at the ends (known as spongy bone, cancellous bone, or trabecular bone) where loading occurs. Cancellous bone reduces the overall weight, while provides adequate stiffness to support joint loads. Achieving a set of mechanical properties while minimizing weight is an objective that is common to engineering design. The balancing of properties was traditionally performed by the designer; however, the associated analyses can be difficult and time-consuming, which limited the options that could be explored. Alternatively, computational algorithms have now been developed to expand the design possibilities that can be investigated, all while honouring the constraints inherent to a particular problem. It is not surprising that these algorithms, when tackling problems that require minimizing weight and maximizing stiffness, have generated structures very similar to cancellous bone. Below are four examples. When races are determined by hundredths of a second, any advantage can mean the difference between making the podium or heading home empty-handed. 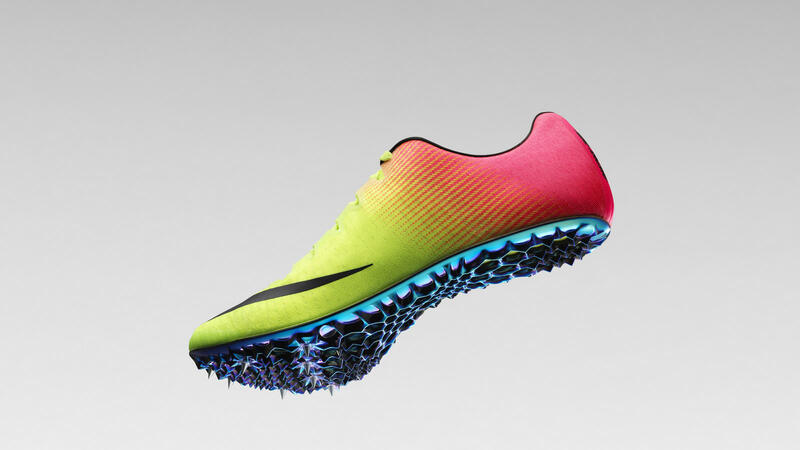 Nike set out to develop their lightest and stiffest track shoe for the 2016 Summer Olympics in Rio. The result was the Zoom Superfly Elite. Much of the improvement comes from changes to the spike plate that forms the sole of the shoe. Using computational design, they were able to cut the overall weight by half compared to their previous shoe (118 down to 61 g), while also making it four-times stiffer. The connection between airplane weight and fuel consumption is well understood. Airbus, in connection with Autodesk, set about redesigning the bulkhead to reduce weight. Yet the resigned bulkhead also had to meet certain constraints such as being no more than 1 inch thick, attach to the plane’s frame in no more than four places, and be strong enough to anchor two jump seats for flight attendant. 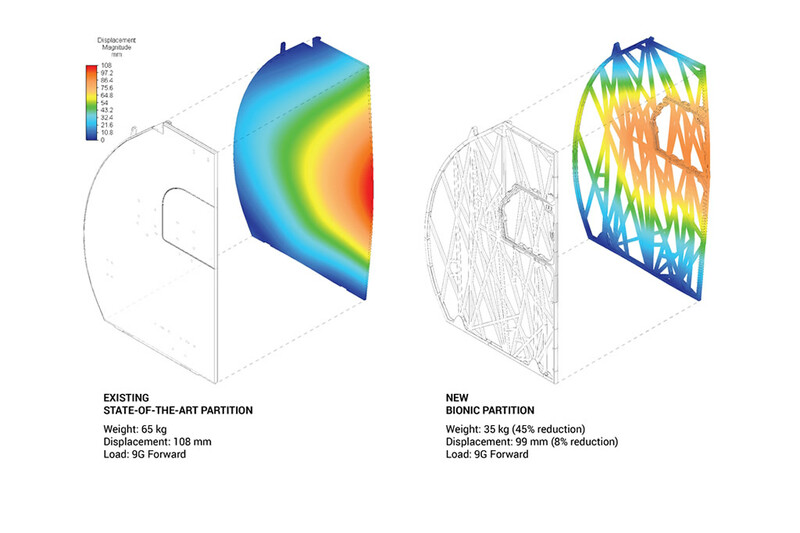 They were able to investigate thousands of possible designs using generative algorithms. Ultimately, the final version (the so-called “bionic bulkhead”) reduced the weight by 55% (from 143 to 66 pounds) while also satisfying all the design constraints. Photo by Airbus APWorks GmbH. APWorks, an Airbus-owned subsidiary, developed an all-electric concept motorcycle that weighs only 35 kg and can achieve speeds of up to 80 km/h. Much of the savings comes from the frame which contributes only 6 kg to the total weight. The frame design again results from an algorithmic optimization and is hollow to allow cables and pipes to be integrated within it. 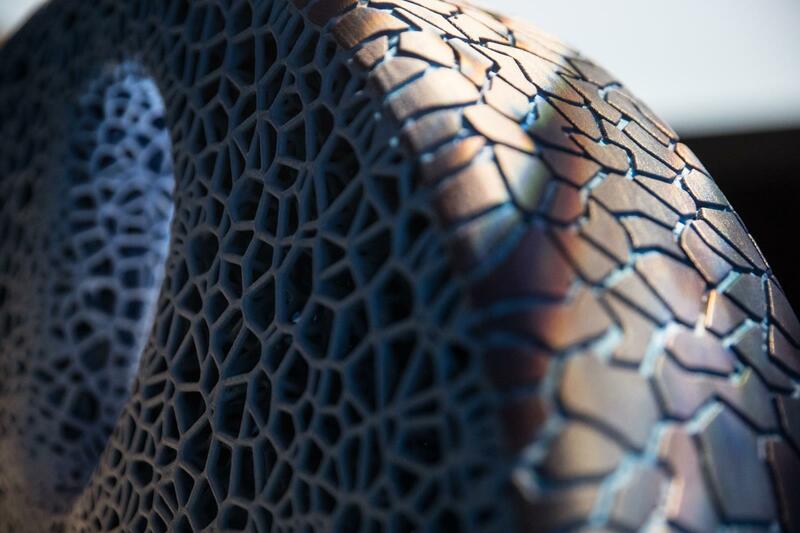 Like many of the examples we’ve considered, the resulting product cannot be manufactured using traditional methods; newer additive manufacturing technologies are needed to achieve the exotic shapes. Engineers and designers are often tasked with creating designs that are both light and stiff. Cutouts, for example, are a traditional means of eliminating redundant material and saving weight. 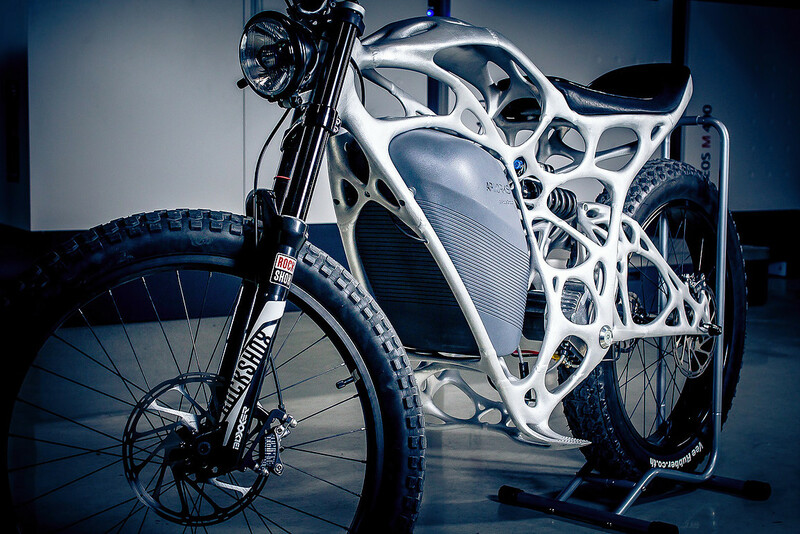 But now algorithmic design, combined with finite element modeling and additive manufacturing, makes it feasible to explore a larger design space than ever before to find the perfect combination of properties. Cancellous bone is both light and stiff, and the design problems that we’ve considered have arrived at similar structures when trying to optimize for those two properties. It seems that nature has had the right idea all along. This entry was posted in Design and tagged bulkhead, cancellous bone, design lessons, motorcycle, optimization, track spike, wheel by brent. Bookmark the permalink.